Established in 2003 and headquartered in Zhuhai, China, Meizu designs and produces smartphones created to provide a simple, intuitive mobile experience for people whose time is expected to be simply spent in using their devices, instead of figuring out the way of using them.Meizu expanded into the smartphone market in 2008 and has been committed to developing high-end smartphones ever since. 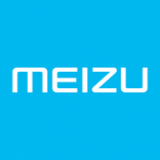 Based on a business philosophy and commitment to pursuing perfection and long-term development, Meizu remains laser focused on developing innovative and user-friendly smartphones for consumers. With more than 1,000 employees and 600 retail stores, the company has built a presence throughout many international markets.